As much as I enjoy strolling around downtown New Bern, I need some variety in my exercise routine. I pass a brown highway sign pointing to the New Bern Battlefield Park each time I visit the grocery. Today I pull into this park just off highway 70 east of town. 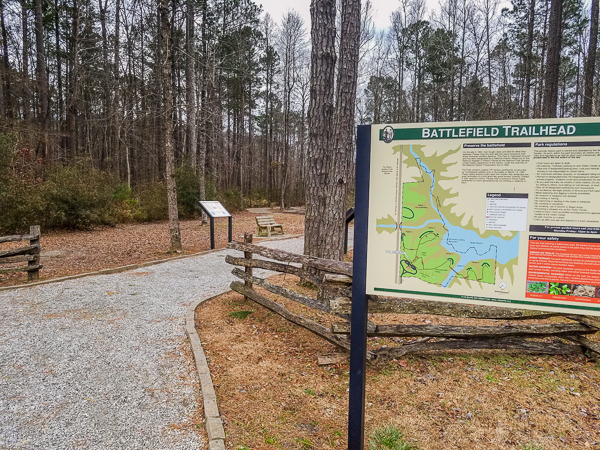 I hope to find more walking trails here, but what I find is a very nicely preserved and extremely tidy battlefield occupied only by the ghosts of past conflicts. I have never seen another living person on any of my visits here. Except for the sounds of an occasional train passing along the park boundary, a walk here offers peaceful solitude and challenging terrain. If you are not planning a visit to New Bern soon, share the park with me in the video below. 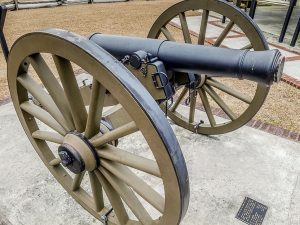 So who won the Battle of New Bern? Break it to me gently. I can tell from your comment that you already suspect and are correct in doing so that the boys in grey had to beat a retreat to Kinston after this battle. We can always pack a picnic and let you visit the park when you get a chance to fly down! If you enjoy exploring battlefields you would love this place. All of the defensive positions are still intact. The park is extremely well maintained and preserved. Sure wish I could take you on a personal tour. Thanks for noticing the earrings! I think they very recently built this park. It looks very new and shiny! I guess the only constant is change!